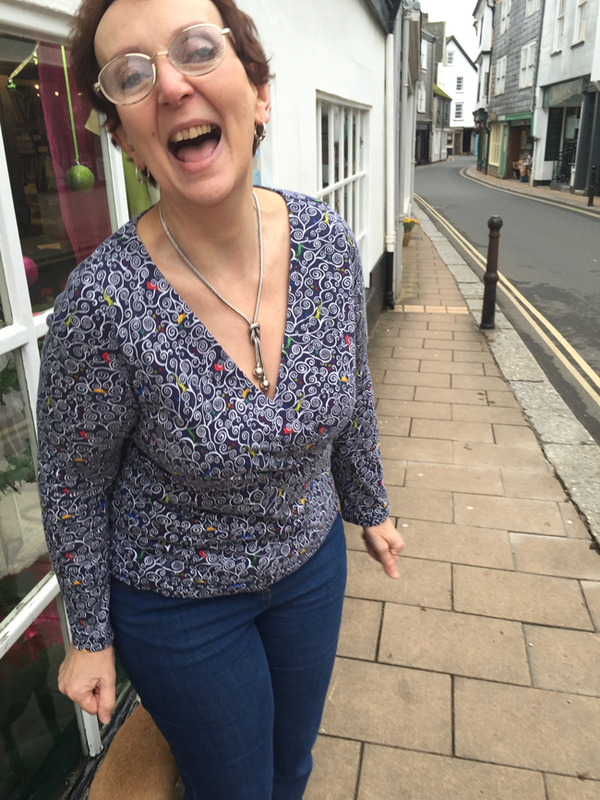 Rachel terribly pleased with herself after making this t-shirt in Liberty pure cotton jersey. She used Burda 6848 mock wrap t-shirt pattern with minor alterations to enable a good fit. Other than a bit of seam tape in the shoulders and ballpoint machine needles no special equipment or extras were required.